The cute, fun and easy to assemble baby quilt is just perfect for your next baby or baby shower. The ladybugs are in the flower garden with their shoes on! The quilt goes together quickly and you can choose your favorite method of appliqué since the pattern will work with all of the popular applique methods. 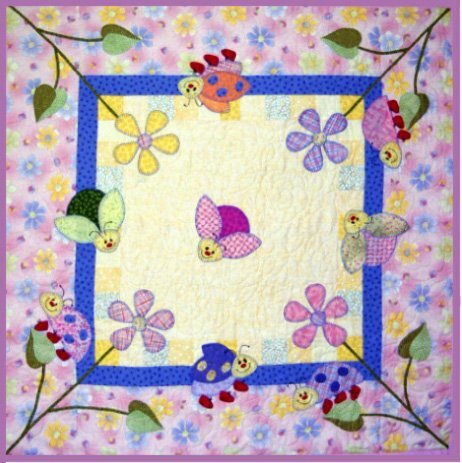 You can customize and personalize this pattern by adding more ladybugs or embroidering the babies name in the center of the quilt.